What Are the Causes of Hair Loss and Weight Gain in Women? Karen Frazier is an author and journalist who has been writing professionally since 1987. She is a journalist and managing editor for "Paranormal Underground Magazine," as well as the wine site editor and a writer at LoveToKnow. Frazier has also written three books. She studied elementary education at Eastern Washington University. Hair loss and weight gain may occur naturally as you age; however, they may also be signs of an undiagnosed condition. 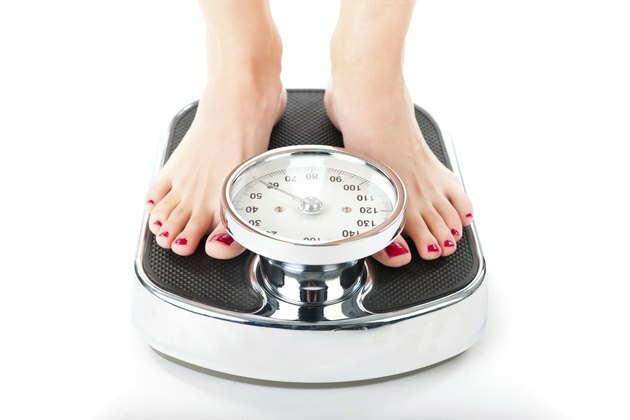 Unexplained weight gain without a change in exercise or eating habits may be a signal that something is wrong. Hair loss may manifest as a thinning of scalp or eyebrow hair. Hair may come out in clumps or just thin noticeably over time. If you experience unexplained weight gain and hair loss, see your doctor or an endocrinologist. The thyroid is a small, butterfly-shaped gland in the front of your neck that is responsible for production of thyroid hormones that are essential for metabolic processes throughout the body. Hypothyroidism is a condition that occurs when your body doesn’t produce enough thyroid hormone. It may be a primary diagnosis, or it may occur secondarily to the autoimmune disorder Hashimoto’s disease, notes MayoClinic.com. Unexplained weight gain and thinning hair are two common signs of hypothyroid disorders. Other signs and symptoms include pale, dry skin; weakness; depression; heavy menstrual periods and exhaustion. Your doctor may perform a thyroid hormone test with a simple blood draw. Thyroid hormone replacement medication may be prescribed if you have hypothyroidism. Your adrenal glands sit atop your kidneys. They are part of your body’s endocrine system, responsible for controlling cortisol and adrenaline. When you are under stress, your adrenal glands release cortisol. Chronic levels of stress cause continuous cortisol production, which may lead to adrenal fatigue. Hair loss and weight gain are both signs of adrenal fatigue. Symptoms also include poor immune function, cold intolerance, insomnia and reliance on stimulants like caffeine, according to the website Women to Women. Adrenal fatigue is treated with natural remedies such as stress management, dietary changes and supplementation. Prescription medications are an important health tool. Medications treat chronic and acute conditions, control symptoms and fight disease. Medications often have side effects, although only a certain percentage of patients who take medications will experience them. If you have recently started taking a new medication and you experience hair loss or weight gain, these may be side effects of your medication, and a doctor should be consulted. Blood thinners, seizure medication, corticosteroids and antidepressants are examples of drugs that may cause hair loss and weight gain. Your hormonal system is delicately balanced, and hormonal changes occur throughout your life. Such changes may lead to weight gain and hair loss. Pregnancy, childbirth, breastfeeding, menstruation, perimenopause and menopause all cause changes in your hormones. If you suspect that your hair loss and weight gain are caused by hormonal changes, check with your doctor or gynecologist to discuss your options. What Can Cause Facial Hair Loss in a Man?